Venice is my favourite place in the world bar none! Hotel Metropole – Riva degli Schiavoni 4149-30122. Now HERE is a hotel that really is worth each and every of it’s 5 stars! The Hotel Metropole is stunning from start to finish. 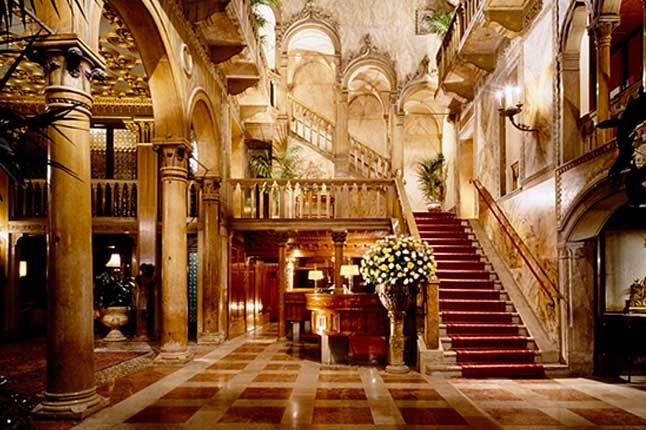 The Metropole, IS history; already on maps of Venice in the 1500s, Vivaldi gave lessons here, Freud, Proust and Thomas Mann all stayed here and since 1897 it has been listed as one of the best hotels in Venice. But what I love is that time has not stood still. 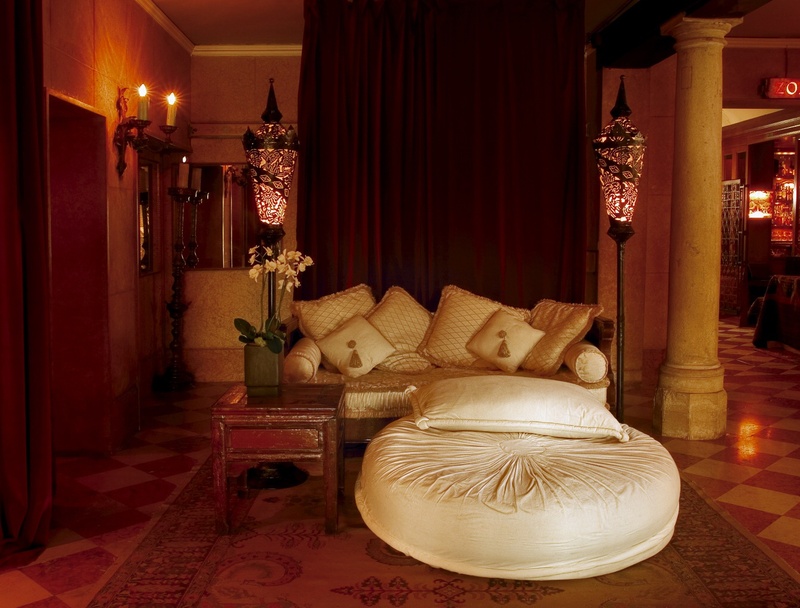 The hotel oozes a wonderful – and not easy to achieve – fusion of the traditional as well as the modern with Eastern influences from Venice’s historic connections in that direction. Every room is different with incredible attention to detail. The MET Restaurant just received a Michelin Star, so on my next visit, that’s where I am headed. The staff, many of whom I have met, are wonderful and completely professional. The location, only three minutes from Piazza S Marco, also could not be bettered. Use this link to the website of the Hotel Metropole, to learn more and make a reservation. Sometimes you just have to treat yourself. 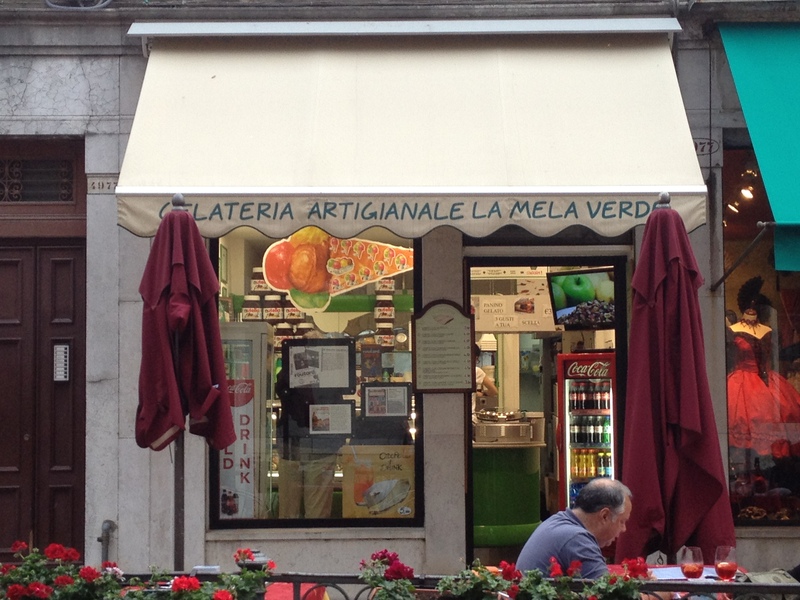 La Mela Verde – Gelateria Artigianale, Fondamenta de l’Osmarin. For years I felt embarrassed by the selection of truly poor gelato in Venice. For many of my groups, this was their first stop on the trip and it seemed incredible there was not one decent Gelateria in the whole city. 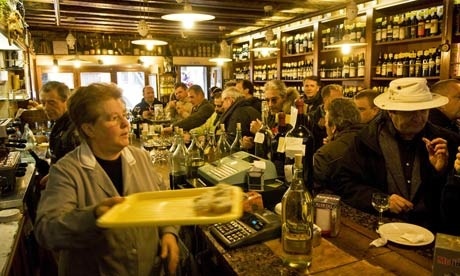 Then Davide opened La Mela Verde, as he felt the same, but as a Venetian, only stronger. Anyway, problem solved. Just find it and enjoy! Update from October 2012: Took my most recent adult group there. They ALL went back for seconds, I have never seen that. Delicious and their verdict after Sorrento, Rome, Florence and Assisi? This was THE best Gelateria on the whole trip! 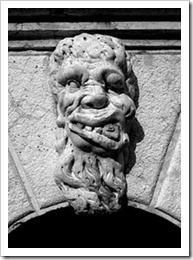 Osteria Mascaron – Calle Longa Santa Maria Formosa 5225. I love the nearby square of Santa Maria Formosa. It is close to Saint Mark’s but has an refreshingly local feel. It is a great place to grab a spritz and then seek out Calle Longa to head towards a dining experience amongst the best Venice has to offer. Always full, the best place in Venice pre-dinner? Wonderful blend of locals and tourists alike pre-dinner when they prepared delicious selections of cheap anti-pasti, which have won them prizes even! Worth tracking down. Taverna Al Remer, Cannaregio 5701. Wow, not simple to find, but my goodness is it worth it. Go if nothing else for ‘Happy Hour’, everyday from 17.30 for two hours. €5.00 for a drink (includes delicious cocktails) and a good old-fashioned eat as much as you can aperitvo table; pasta, risotto and nibbles. 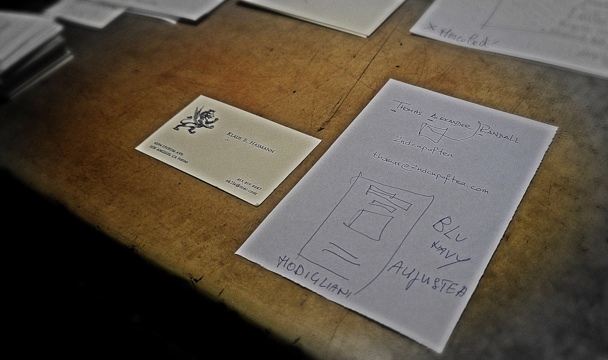 Only found it thanks to two Venetian friends. Directions on their website. Hotel Danieli, Public Bar – San Marco, Riva degli Schiavoni. This is my treat and has been for 12 years. But it doesn’t come cheap. A Rum and Coke is around €23. But, and it’s a big but, you can sip it in the 14th Century surroundings of the Palazzo Dandolo, the Duke of Venice whilst celebrity spotting. 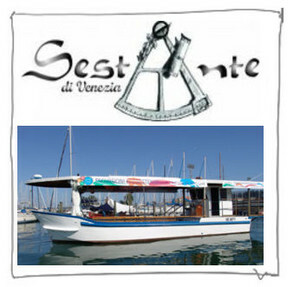 Sestante di Venezia – Even been to the Arsenale, let alone by night? Know what a Barcaro’ is? Thought of walking or even cycling tours in a city built on water? Here are true Venetians who LOVE their city and want to get away from the traditional way of simply joining hoards in Piazza San Marco. 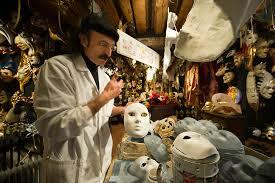 Often my groups ask me for recommendations for where to buy masks when in Venice; that is an easy question; Ca del Sol. By FAR the best place I have found. They are nice, actually let you touch and take photos. If you are really keen, you can even book into demonstrations and mark painting lessons by the maestro himself, in his workshop just across the canal. They have such a vast variety and range, from the cheap white – paint yourself (what a great idea I always say) to the large, elaborate, extravagant, Venetian party pieces. Have a preview at their website Ca del Sol. 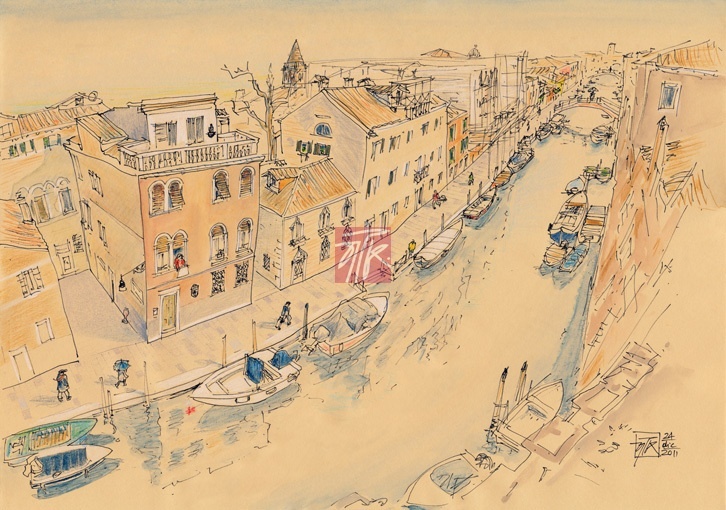 Gianni Basso, Stampatore in Venezia – Canareggio, F. Nove, Calle del Fumo. If you do nothing else in Venice, trust me and seek this place out. There’s no email, website and barely a phone (he will show you when you get there). ‘If you want Venice, come here, if you’re happy in Taiwan, stay on the other side of the bridge he says’, pointing to the end of his street. I’m actually not going to tell you more except that Hugh Grant, Angelina Jolie and a whole host of intellectuals, poets and scientists travel to Venice JUST to visit Gianni. GO. Someone very special just bought me an ‘early birthday present’ from here. Hard to imagine a better gift. Hi! We made it to Venice and are checking your blog for eating Suggestions. The traditional Venetian near Santa Maria is drawing our interest! Is there a particular place you recommend? Please, please tell me where to get a cup of tea in Venice – there is no in-room facilities at our very swish hotel and we need at least 3 cups a day to keep going!